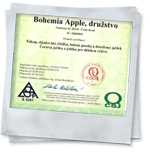 Bohemia Apple (cooperative), is adopting new quality management systems in the context of improving product quality and services. 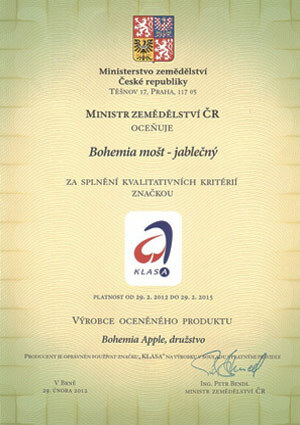 The main key is HACCP certification and Klasa. 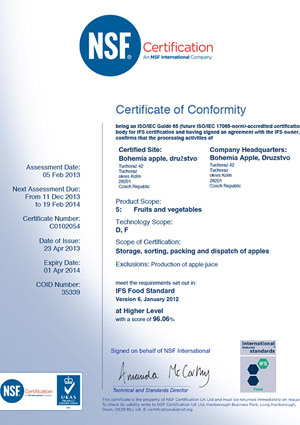 HACCP is an abbreviation of the name „Hazard Analysis and Critical Control Points“ (hazard analysis and critical control points), in the world uses a system of preventive measures, which helps to ensure food safety and food during all activities related to production, treatment, storage, handling or transportation and sale to the end consumers. 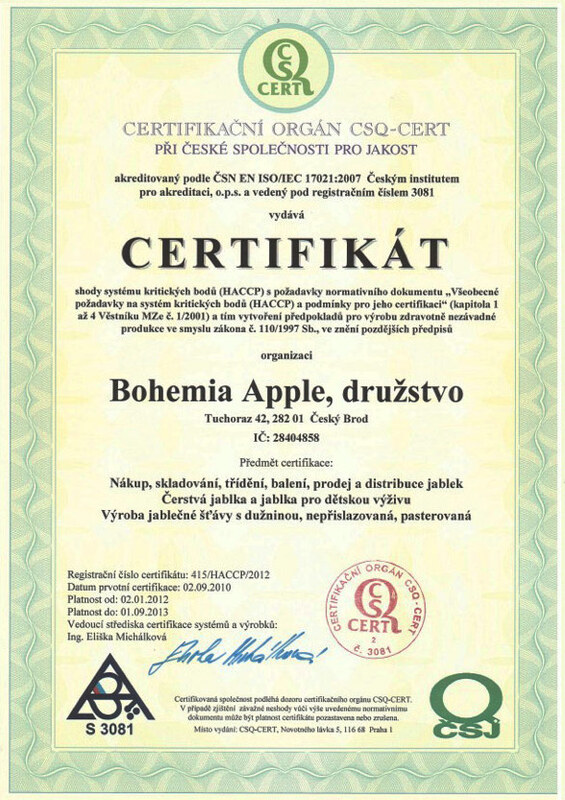 The Czech food legislation instead HACCAP uses the term „system critical points“. HACCP is used more often than Czech term in both professional and general public. Hazard analysis and critical control points, or HACCP, is a systematic preventive approach to food safety and pharmaceutical safety that addresses physical, chemical, and biological hazards as a means of prevention rather than finished product inspection. HACCP is used in the food industry to identify potential food safety hazards, so that key actions can be taken to reduce or eliminate the risk of the hazards being realized. 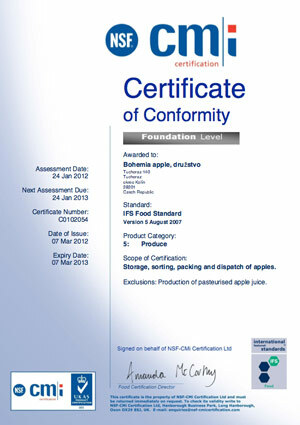 The system is used at all stages of food production and preparation processes including packaging, distribution, etc. The Food and Drug Administration (FDA) and the United States Department of Agriculture (USDA) say that their mandatory HACCP programs for juice and meat are an effective approach to food safety and protecting public health. 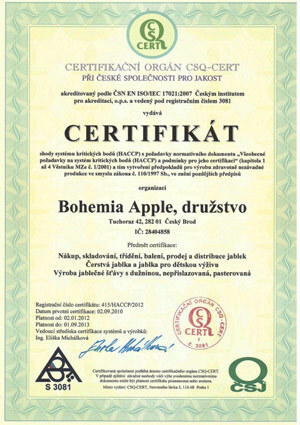 Meat HACCP systems are regulated by the USDA, while seafood and juice are regulated by the FDA. 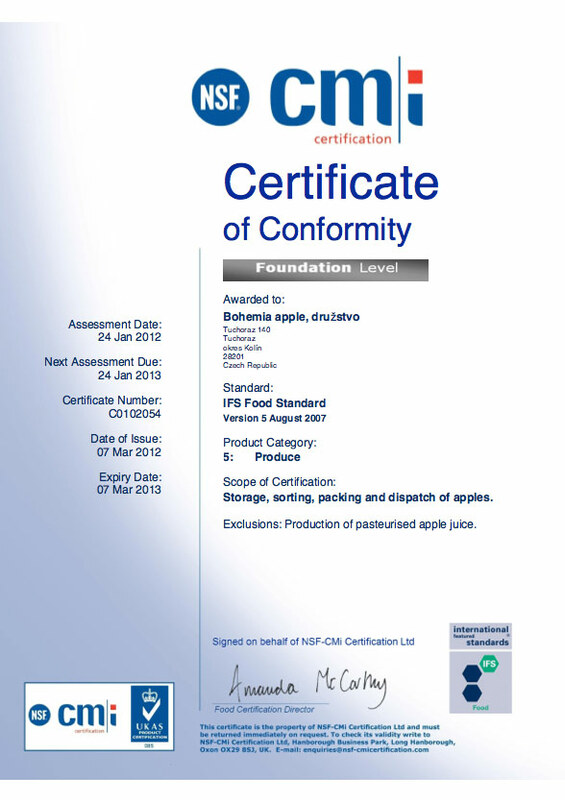 The use of HACCP is currently voluntary in other food industries. HACCP itself was conceived in the 1960s when the US National Aeronautics and Space Administration (NASA) asked Pillsbury to design and manufacture the first foods for space flights. 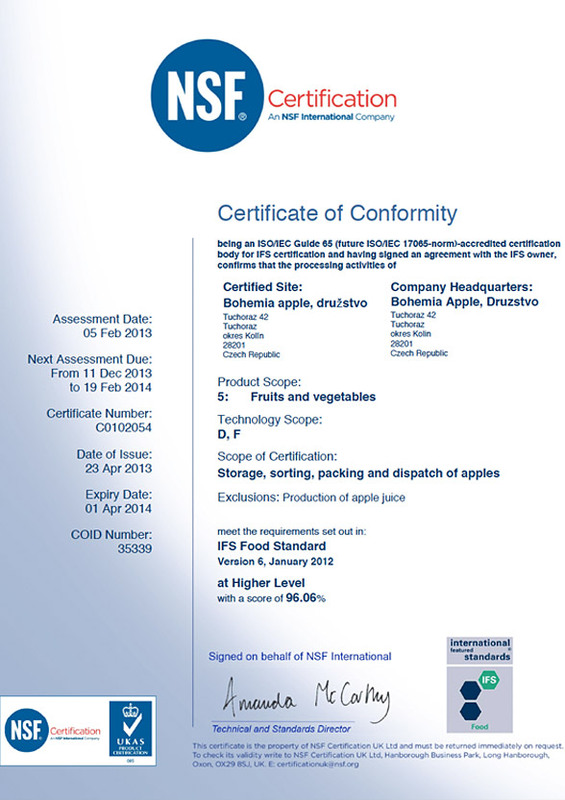 Since then, HACCP has been recognized internationally as a logical tool for adapting traditional inspection methods to a modern, science-based, food safety system. Based on risk-assessment, HACCP plans allow both industry and government to allocate their resources efficiently in establishing and auditing safe food production practices. Biological – health hazards caused by living organisms like molds or yeasts etc… these can get via food into human body and cause foodborn illnesses such as salmonellosis. Physical – presence of object or impurities in products such as glass or metal, plastic etc… these can lead to injury or damage consumer´s health. Critical points are technological sections, procedures or operations in production process, distribution and sell of food and dishes. There is the highest risk for possible break of food health safety. There are specific critical limits for each critical point, these limits are signs (mostly product temperature) and values that must be supervised, followed and recorded. Critical points are set up separately for individual types of products. It’s strictly prohibited to produce and launch for sell any product without set up the critical points. 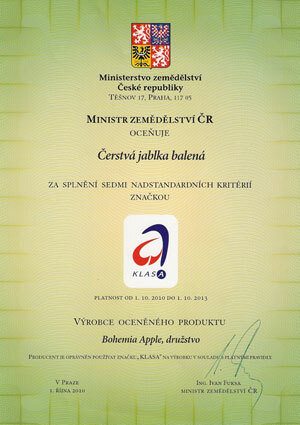 Trademark Klasa has been awarded by Minister of Agriculture since 2003. 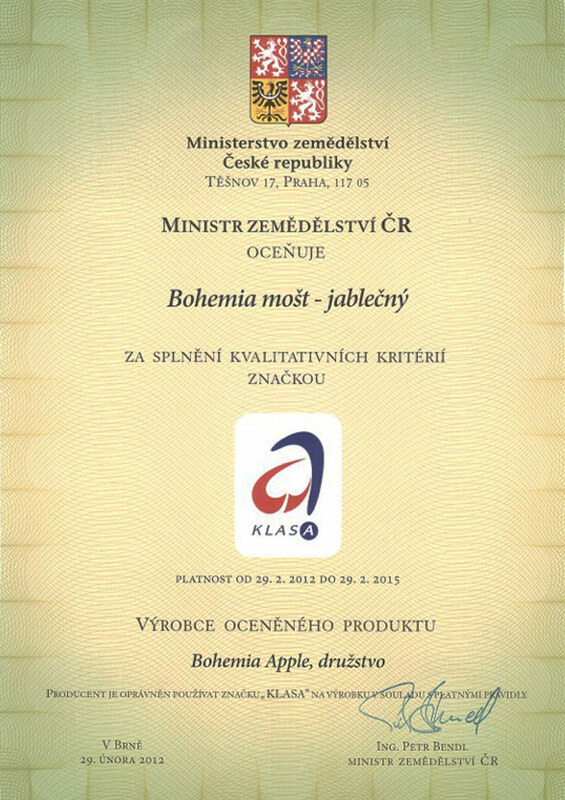 It´s had given to the best products of food and agriculture production after fulfillment of all conditions due to Klasa´s trademark rules. 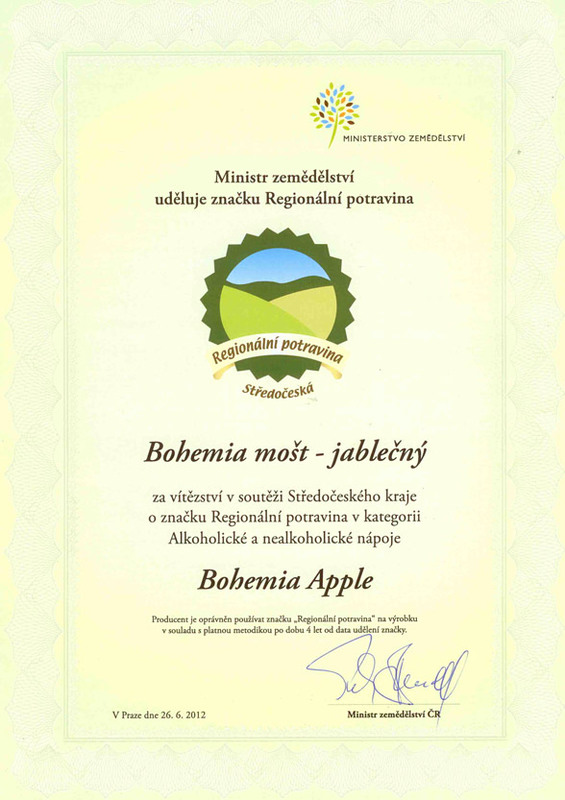 National brand manages the Marketing Department of the State Agricultural Intervention Fund. 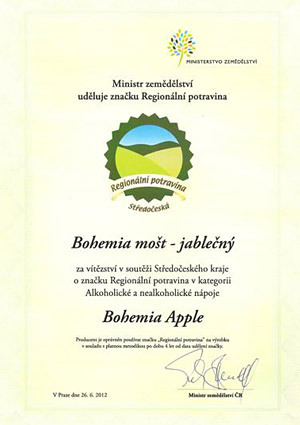 Matching all quality conditions verifies and evaluates the State Agriculture and Food Inspection Authority in cooperation with the State Veterinary Administration.